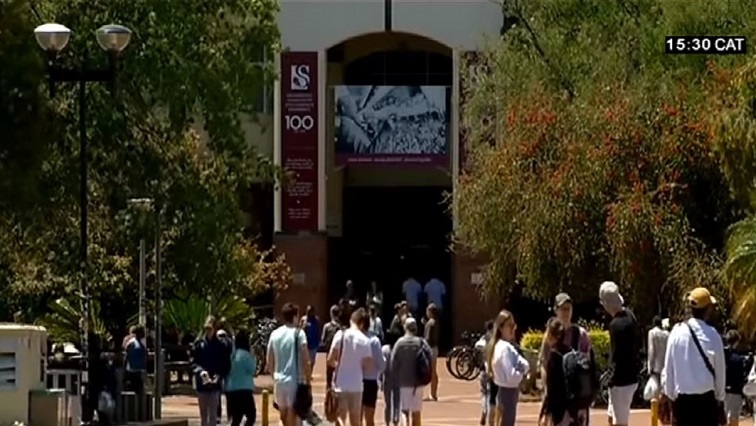 NSFAS applicants accuse funder of unfairly declining applications - SABC News - Breaking news, special reports, world, business, sport coverage of all South African current events. Africa's news leader. Tags: NSFAS, Household income, #NSFASFailedUs, Dr Randall Carolissen, National Student Financial Aid Fund. NSFAS released a statement that it had reviewed and approved the applications of more than 11 000 social grant beneficiaries. Some NSFAS applicants, whose applications were placed on review and then rejected, are accusing the student financial aid scheme of unfair treatment. These students had their applications for financial aid reviewed and rejected for a second time. However, the fund says the students have an annual household income of more than R120 000. The students are among thousands who have formed the online #NSFASFailedUs movement. A final-year accounting student at the University of Johannesburg, who asked to remain anonymous, says she was saddened when she learnt in January that her NSFAS funding had been withdrawn. She says although the student financial scheme had paid for her studies so far, she was informed that NSFAS would no longer pay as she now had an annual household income of more than R122 000. She says this surprised her as her circumstances had not changed and she says she had also passed all her courses. NSFAS released a statement that it had reviewed and approved the applications of more than 11 000 social grant beneficiaries. The applicants’ initial applications had been declined because they had a household income of more than R350 000 for first year students, and R122 000 for students who have been studying before 2018. Another student, who wished to be anonymous, says NSFAS upheld the rejection after the review even though she depends on social grants. The two applicants say they were informed that NSFAS received information that contradicts the details they had provided in their applications from third party agents. The applicants say they do not know who the third party agents are and where they got the information. They fear that their future will be negatively affected if they do not enrol in 2019. NSFAS administrator Dr Randall Carolissen says they use an applicant’s credit information in conjunction with information supplied by an applicant. He has appealed to applicants who feel they were unfairly declined to lodge appeals. Carolissen says information on how to lodge an appeal is available on the NSFAS website. – Additional reporting by Aluwani Mantsha. NSFAS Household income #NSFASFailedUs Dr Randall Carolissen National Student Financial Aid Fund. This entry was posted on 30 Jan 2019,03:14PM at 3:14 PM and is filed under South Africa. You can follow any responses to this entry through the RSS 2.0 feed. Both comments and pings are currently closed.